Tired of Trump, the Washington Post is poking a bit of fun at President Macron’s consollidation of power in France. It reports that Far-Left, Jean-Luc Mélenchon and his allies go without neckwear for a political protest. 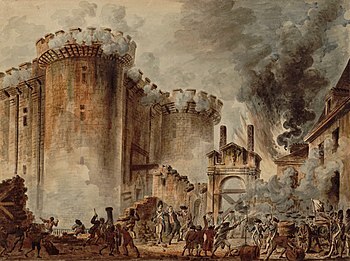 Firstly, as a long-standing Francophile, it’s established practice for the French to go off on family holidays in the summer to return to industrial unrest in the Autumn. Macron has a political mandate to reform France but so did other presidents. Let’s wait to see how Macron fairs with the unions – democracy is one thing but street protest goes back to the French Revolution. Meanwhile, the Washington Post needs to stay focused on President Trump. There are still unanswered questions about links with Russia – no doubt we shall be reminded this weekend, at the Hamburg G20, when Trump meets Putin for the first time. In terms of political leadership, Trump is under attack both domestically and internationally. Perhaps the Washington Post should be reminded that France chose democracy over right-wing populism? Or if the Post is out of news this summer, it could focus on the UK where conservatives are frightened of left-wing populism bringing the first Marxist government to the UK?